For intermediate and advanced players interested in competitive tennis with other clubs in and around York Region and the GTA, we offer several levels of InterCounty play. From mid-May to mid-August, team members practice once a week and play matches against other clubs in their division. Tryouts take place the week of April 15, 2019. Please note that in the Mixed league this year, we will field 3 B teams and 1 Majors team. Additionally, we have asked for a second +55 team in either the B or C division and will know by March 15, 2019. The season culminates in September when the top two teams in each League play off at the Aviva Centre (formally known as The Rexall Centre). Looking forward to a fabulous summer season. Laura Willcox – InterCounty Director. 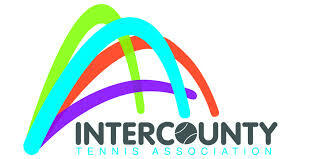 The InterCounty Tennis Association is dedicated to the advancement of team tennis in Southern Ontario. Over 90 clubs presently belong to the ICTA. Member clubs to the ICTA stretch from Pickering to Oakville and from Toronto's downtown Lakeshore to King City, Caledon and beyond.